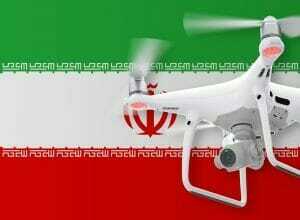 In this post, you will find the current legal situation for the use of drones in Iran. You are allowed to bring your drone to Iran and use it there. However, there are now numerous reports of drone users who had to make unpleasant experiences in Iran. In Iran, it can happen very quickly that you are arrested while using GPS-enabled devices or cameras. The Iranian security authorities are quick to assume that you have entered the country as a spy when you use appropriate technology. Already several drone pilots had to endure extensive interrogations. In some cases, the accused were not allowed to leave Iran until after a court ruling. In particular, in the regions of Busher, Natanz, Qom, Arak, and Isfahan there were already incidents in which spy allegations were raised because of the use of drones. If you would like to enter Iran with a drone, then please inform yourself about the current safety instructions via the Foreign Office. We have researched the listed drone regulations for Iran to the best of our knowledge. We cannot guarantee the correctness of the information. If you want to be on the safe side, contact the competent aviation authority. Alternatively, you can also ask the embassy in your country for further information about the regulations. Please leave us a comment when you receive news and/or gain experience with your copter in Iran! It should be note that in Iran on the basis of Article 122 of Customs Law (Entered into force from November 23, 2011), it is illegal to enter any special device (machine) that capable for aerial photography, unless the approval of The Ministry of Defence and Armed Forces can be obtained. in addition to that, there is a legal uncertainty regard the regulations of drones in iran, specially in the safety and insurance issues. Thank you very much for the additional information. I will update my article! Hi, i want visit the Iran , and make a documentary whit use more camera and i want use a parrot anafi … can i have more information to use the drone in Iran? Is it allowed to bring a drone (such as Mavic Air) without permit ? I DO know that I cannot fly over Tehran, and I also DO know that anytime I fly, I will ask personnaly a policeman, or military man if I can use my drone at the spot I want to fly. It is not so easy to answer your question. Usually, you don’t need a permit in advance. When you are careful, you should not experience any problems. But I cannot give you any guarantee since this country has its peculiarities. Thank you for your feedback Francis. Unfortunately I’m back from Iran for now a month. I have finally decided not to bring my drone since regulations were too blurry and I didn’t want to get troubles here. Anyway I didn’t found anybody with a drone in Iran, but landscapes were amazing, I’m really frustrated !